Dive into an underwater story-scene splashed with merry mermaid magic! This enchanting play kit contains a brilliant board book story, plus a magnetic scene where you bring the story to life. 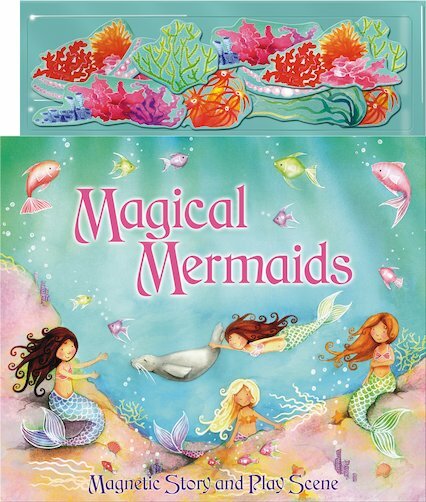 Add the playful mermaid magnets and get set to ride the waves! Contents: Board book, 8 colour pages with magnetic play scene and magnets.